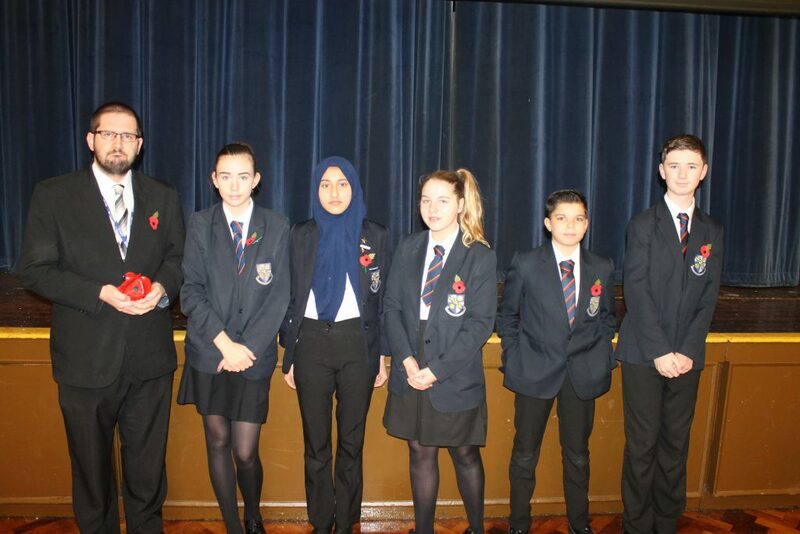 Mr White and a team of students led our Remembrance assemblies throughout the week. This year the focus was on the horrors of trench warfare in The First World War. The students acted out scenes accompanied by thought provoking phrases focusing on the mud, daily life, keeping warm, rats and walking on the front line. The powerful drama and Barbers’ Adagio for Stings, accompanying the assembly entrance and exit, created a poignant atmosphere. Mr White outlined the importance of wearing a poppy to show respect for our soldiers who have served in conflicts and wars. The students were left in no doubt regarding the importance of Armistice Day and Remembrance Sunday.